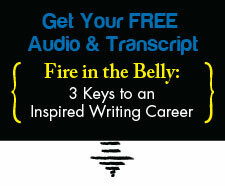 What Goes in Your Book | Writing & Book Coach | Marla Beck, M.F.A. This week, a woman I’ll call Jenny told me what I hear so often from aspiring non-fiction authors: her book project? It’s stuck. Jenny is so stuck that her book idea – that concept she was passionate about years ago, has remained on her hard drive, neglected and abandoned for years. One day, Jenny told me sadly what had happened. She started her project eager and clear. As she began to write, these clear ideas got clouded over or obscured as her project grew. Writing each chapter brought up new questions, and somehow she lost sight of her project’s scope. There were so many possibilities! So many lines of thinking to include! How could she ever make sense of it all and write a good book? Over time, Jenny began to lose her way in the manuscript. She tried to right herself with criteria or notes, and sometimes she pulled book-writing books off the shelves in desperation. All this “trying” made Jenny’s writing worse. So Jenny tried harder, all the while hating herself for being stuck, snapping at her family, despairing at ever achieving her writing goals and hiding from her aunt and uncle, a sweet couple who only wanted to know when her book would be done so they could wrap their arms around her and congratulate her. Sadly, Jenny’s book is still unwritten. Those ideas she knows could change someone’s life or business? As yet, unexpressed. That speaking career she envisioned? Unrealized. That feeling of joy and pride she’d feel when she finally held her finished book in her hands? As elusive as her present-day passion for her project. Without knowing the details of Jenny’s manuscript or her intentions for her book, one thing is still clear: Jenny tried to navigate “idea development” and “book writing” without a guide. The tragedy is, she got lost when she didn’t need to be. Do you have an unfinished non-fiction book or memoir on your hard drive? How long are you going to let your writing dreams stagnate? How long are you going to believe that “trying harder” is the answer to clarifying your book project and getting it done? I’m here to help you save time and struggle when you’re ready. Just reach out to me at https://coachmarla.com//contact, and we can talk about your book challenges and writing goals.